Singapore claims they are the creator of fish head noodle but they are widely available in Kuala Lumpur. This is one of the most unique noodles in the region. 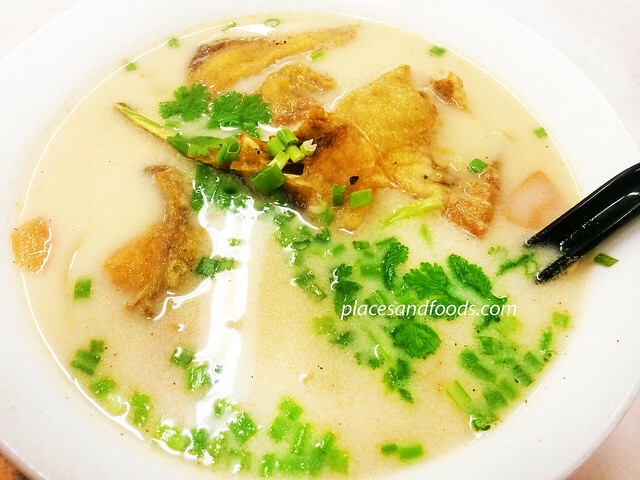 Mostly they are served with rice vermicelli or similar noodles and inside in this yummy bowl of goodness, it has fish broth, vegetable, milk and fried fish head or fish fillets. You can have a journey of flavours with hints of Chinese wine. It is either you love it or you hate it. You can find fish head noodle in Chinese food courts/outlets or specialty restaurants. There are restaurants offer fish paste or fish fillets to replace the fish head now. Some even offer to de-bone the fish head. Lam mee is another unique noodle you must try. Although it might have certain similarities with ‘loh mee’ but lam mee is more popular with locals. 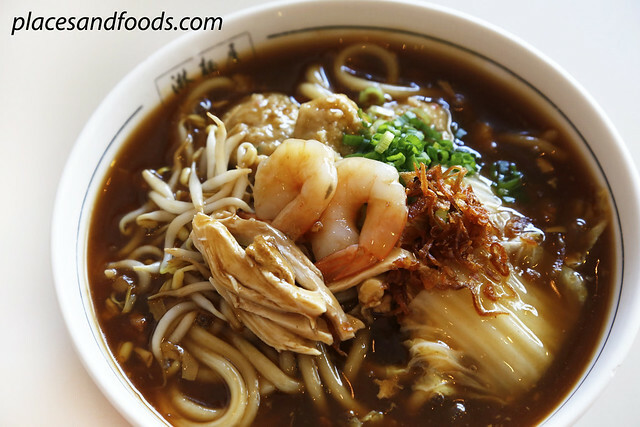 Thick noodles are often used with thick starchy broth with sliced boiled egg, sliced steamed chicken, beansprouts, prawns and sprinkled with chopped spring onions and fried shallots. The most important part is the broth as it must be not too starchy and too salty. Lam mee is available in Chinese food courts/outlets or speciality restaurant. The most popular lam mee restaurant in KL is May King in Pudu. It has been around for more than 40 years and remains the best place for lam mee. Other version of lam mee includes using yee mee as the noodle. Lammeeya is a lam mee speciality restaurant in Klang Valley. Currently they have four outlets and they also offer Malaysia Chinese home cook style menu. There is no other place more popular than Ampang for yong tau fu. Yong tau fu means stuffed tau fu (beancurd) but there are also many other varieties. The main ingredient of the stuffed meat is fish and most of the time it is mixed with pork and salted fish. On top of beancurd, there is foo chok (beancurd skin), taufu pok (mini square fried beancurd), brinjal (egg plant), lady’s finger, chili and many more. 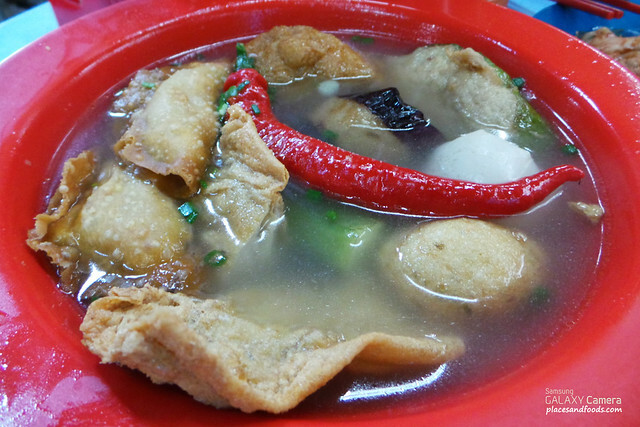 Originally yong tau fu is soup based but now there are also fried items such as fried stuffed foo chook, fried dumplings and sometimes fried wonton. It compliments with sweet sauce and chili sauce and can be eaten with noodle or rice. It is available in Chinese food courts/outlets or speciality restaurant.